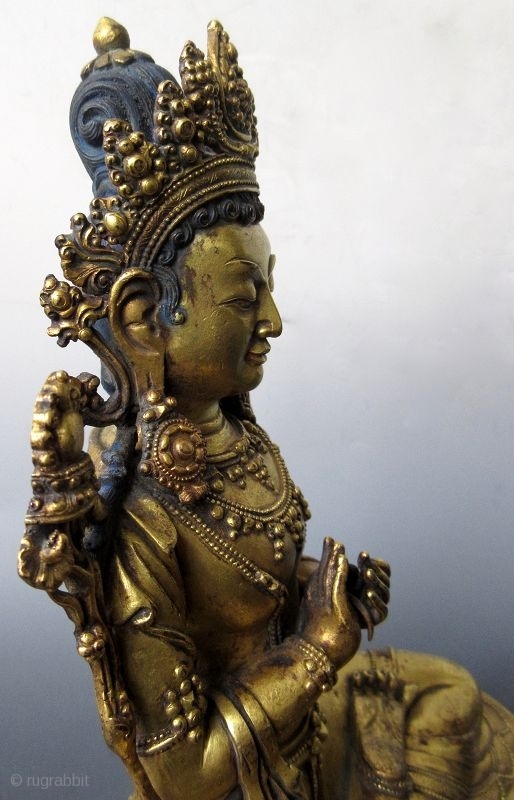 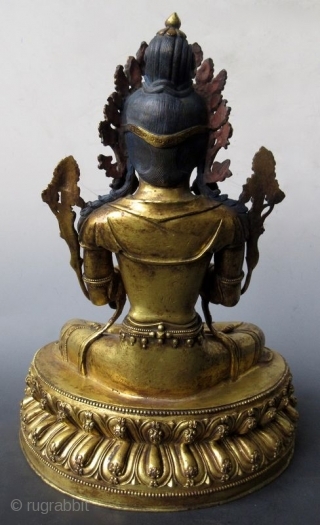 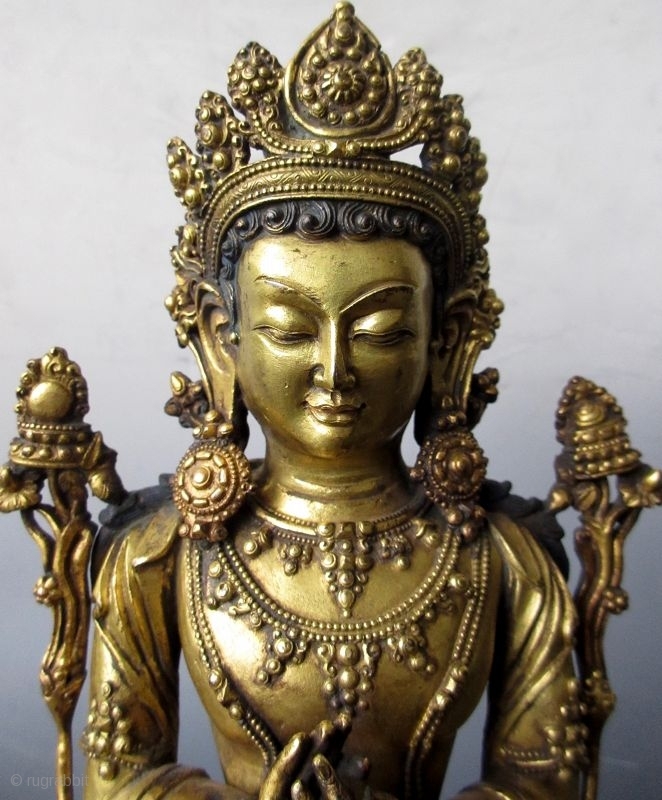 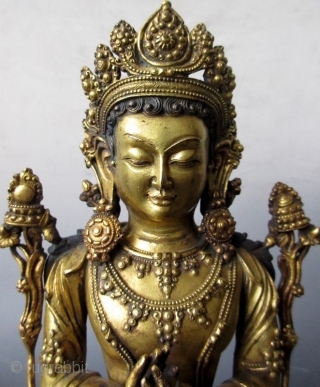 a Sino-Tibetan gilt bronze statue of Maitreya, regarded by this world as a future Buddha in succession after the current Sakyamuni Buddha. 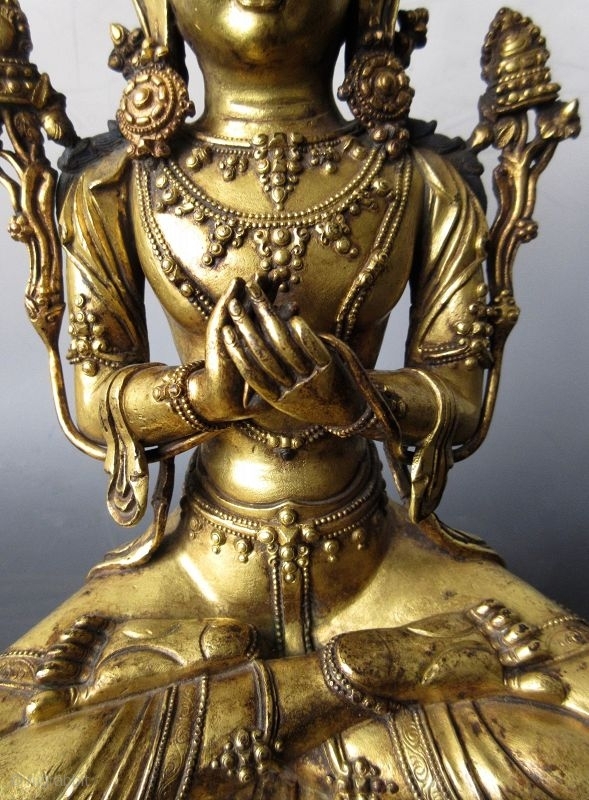 Tradition teaches that Maitreya is a Bodhisattva who will one day appear on earth to achieve enlightenment and teach the pure dharma. 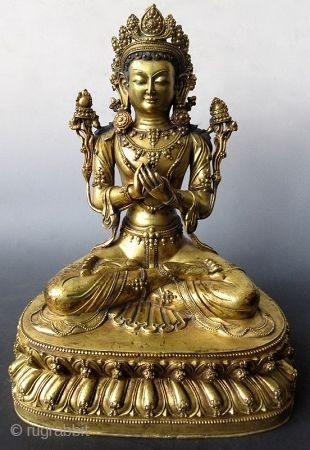 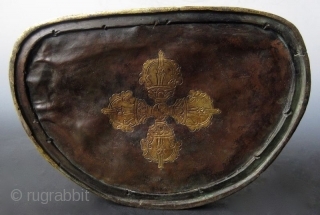 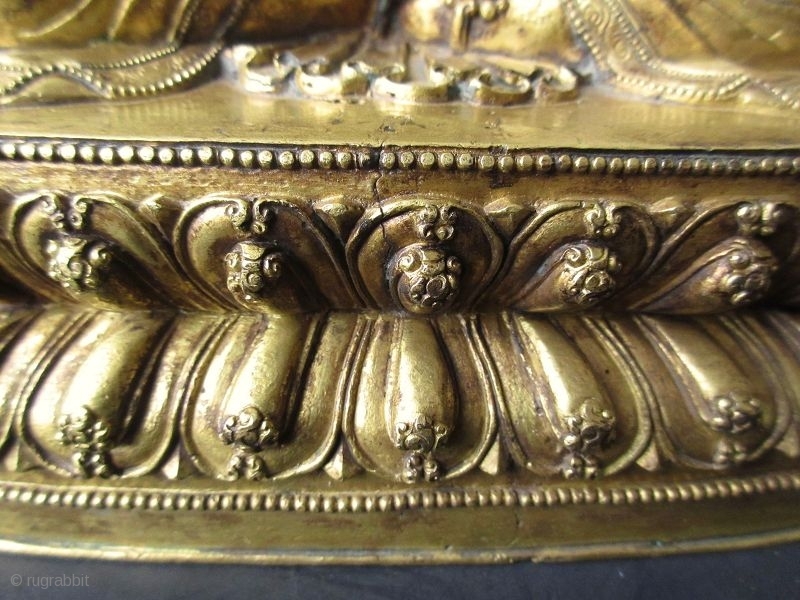 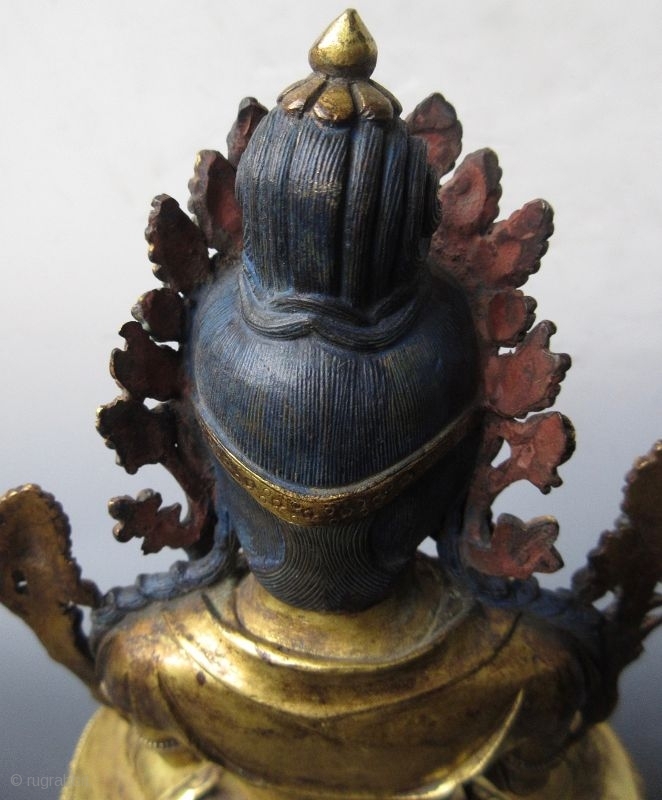 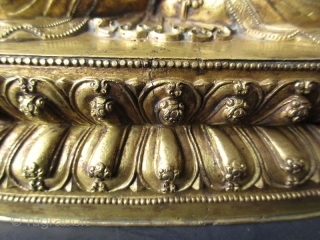 The Bodhisattva is seated on a double-lotus pedestal to represent purity untouched by Samsara, the copper base impressed with a four point vajra to represent the four poisons of the earthly realm.